This month’s newsletter contains an announcement of the newest eight members to be welcomed into IPSI, and also a reminder of the call for proposals for the Satoyama Development Mechanism (SDM) 2017 and announcements of the first external review of the IPBES Global Assessment and the latest newsletter from the COMDEKS Project. We are also pleased to share a report from a recent forum on eco-DRR in Thailand, and a profile of one of IPSI’s newest members, AMAF-BENIN. The new members, in addition to being involved in valuable projects in their own right, also help to increase IPSI’s presence by expanding our representation in regions around the world. We look forward to collaborating closely with all of them in promoting the concept of the Satoyama Initiative in the future. We would like to gently remind readers of the call for proposals for the Satoyama Development Mechanism (SDM) 2017, which was recently sent out through this mailing list. The deadline for applications is Friday, 4 August, 2017. Eligibility for applicants is for IPSI member organizations only, and proposals for implementing IPSI collaborative activities are highly welcome. The Intergovernmental Science-Policy Platform on Biodiversity and Ecosystem Services (IPBES) recently announced the start of its global assessment of biodiversity and ecosystem services, inviting experts to take part in the review. The period for the first external review of the global assessment is from 15 June until 15 August, 2017. The external review will be carried out by interested and qualified experts, including scientists, decision makers, practitioners and other knowledge holders. IPSI-related experts are strongly encouraged to take part in this and other IPBES external reviews now running for Africa, Asia-Pacific and Europe and Central Asia, and Land Degradation and Restoration (ending 26 June 2017) and the Americas regional assessment (ending 24 July 2017). For more information and to register to take part in the review, please see the IPBES website here. The Asia Regional Office of IPSI member the International Union for Conservation of Nature (IUCN) held this forum on 24-25 May in Bangkok, Thailand, through its project “Ecosystems Protecting Infrastructure and Communities” (EPIC), mostly focusing on ecosystem-based disaster-risk reduction practices in the country. Mr. William Dunbar from the IPSI Secretariat at UNU-IAS gave a keynote speech on the Satoyama Initiative and IPSI as our activities relate to eco-DRR, particularly the importance of landscape and seascape diversity and an integrated approach for improved resilience. The forum generated a lot of interesting dialogue on various approaches to disaster-risk reduction, including mangrove restoration and effective seascape design to mitigate coastal erosion. A few IPSI members are active in these areas, and case studies provided good international perspectives on the issues. Eco-DRR is an issue that will likely get increasing attention in coming years, so this forum provided a good chance for IPSI to become more involved in this area. For more information on the EPIC project, please see the IUCN website here. Amis de l’Afrique Francophone-Benin (AMAF-BENIN)’s mission is to contribute to remedying the socio-economic and environmental problems faced by the Beninese population in general and the most vulnerable in particular. Its primary vocation is to work for the development of effective and creative approaches to sustainable management of waste, wetland and forest ecosystems in order to contribute to the conservation of biodiversity, the fight against climate change and the improvement of living conditions. 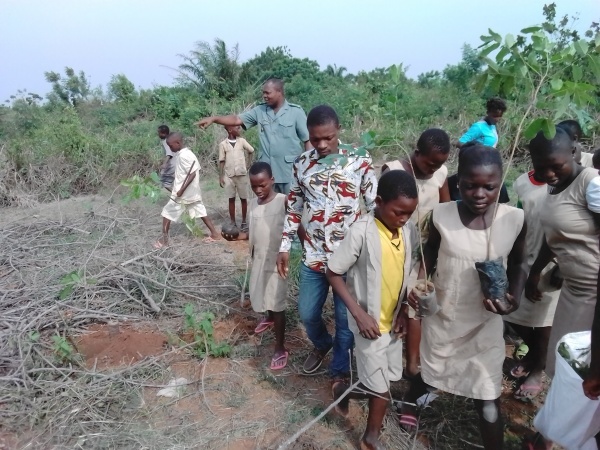 AMAF-BENIN works in Benin, where the protection and conservation of wetlands, forests, biodiversity and the environment is a priority for the elimination of impoverishment for vulnerable communities. Project Let’s Do It Benin, with the main activity “Benin Clean-up”, which mobilized and sensitized a large segment of the population to waste clean-up days. Beninese Week for the Reduction of Waste, an annual activity that raises awareness and educates the populations of Cotonou on the 3Rs of “Reduction, Reuse and Recycling” and on good consumption. EDUC-FORMATION project, which has enabled the setting up of a free literacy and learning center in sewing and embroidery for the professional insertion of young girls and boys in social, family and school difficulties. Research-Action, a study on the classified forest of Pénéssoulou and sensitization of indigenous peoples and local communities to the conservation of the natural resources and biodiversity. Education for Conservation of Migratory Waterbirds on the Ramsar Site 1018, a pilot project for the conservation of bird species and mitigating threats to mangrove forests. Participation in the Waterbird Counting Project in February 2017. Participation in International Forest Day, training in practical rights of municipal councilors and site leaders in charge of the management of natural resources in “Delta de Mono”. For more information, please see the AMAF-BENIN website here.